Established 1984 - Celebrating 31 Years! Scott's Machine's access to valuable technical information gives us a definite advantage over our competitors. 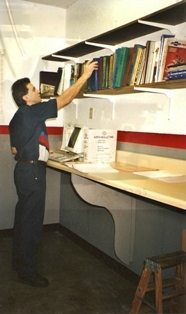 Our industry contacts and sources, our experienced machinists, our technical library, and our technical computer application puts us ahead of our competition in the ability to give our customers the most accurate and up-to-date technical information on your machining needs. In other words, if there is something we need information on, we have the resources to obtain that information with speed and accuracy. In our industry where technology is constantly changing and bulletins are constantly being posted, we feel this is a service that is very valuable to our customers. We have many industry contacts and sources from all over the country and even internationally, if needed. We have certified well-trained, experienced, and knowledgeable machinists. We have a library of technical manuals. We have access to technical information and bulletins (at our fingertips) via a special computer program. Copyright Scott's Auto Machine. All rights reserved.